The death of the childless Charles II of Spain ignited a conflict all throughout Europe. As part of the Grand Alliance, Great Britian is fighting a war alongside the Holy Roman Empire, the Dutch Republic, and Hasbsburg Spain against France and Bourbon Spain. It is now 1708 and Queen Anne sits on the throne. She is in poor health, and is consequently not interested in governing the kingdom. Those duties are delegated to her confidant and secret lover, Duchess Sarah Churchill of Marlborough, making her the effective ruler of the country. This relationship between the queen and her confidant will be challenged when Abigail Hill, Sarah’s younger cousin, arrives at Court looking for work. Deborah Davis had written the script for the film that would become The Favourite as early as 1998. It was originally titled The Balance of Power. While producer Ceci Dempsey was intrigued by the three female protagonists, she had difficulty securing funds with which to shoot the film because potential backers found the lesbian content objectionable. Coupled with the lack of male representation, the script spent nearly a decade in limbo until another producer, Ed Guiney, got a hold of it. Around this time, he became acquainted with Greek director Yorgos Lanthimos, whose 2009 effort Dogtooth received immense critical acclaim, including an Academy Award nomination for Best Foreign Language Film. Stating “[they wanted] a story that felt contemporary and relevant and vibrant — not something out of a museum”, they began shooting in 2017 at the Hatfield House in Hertfordshire. Indeed, part of what allowed The Favourite to stand out upon its 2018 released was the meticulous attention to detail regarding its costume design. When the story begins in earnest, you will notice the dialogue is quite snappy. It is highly fitting that Jonathan Swift is mentioned at one point because the exchanges between characters in this film could easily be described as Swiftian with all of the sardonic pessimism the adjective entails. This creates quite the contrast, for the prim, proper dresses and suits worn by the characters in the film hilariously clash with the liberal amounts of profanity they spew every other sentence. Even as late as 2018, it wasn’t common for period pieces taking place before the twentieth century to feature profanity. This could be seen as a Coconut Effect of sorts. Old films generally lacked profanity, embedding into the public consciousness that it wasn’t commonplace until the seventies or so. In The Favourite, the dialogue is every bit as raunchy as you would expect from people speaking within the privacy of their own homes – royal status be damned. Against the backdrop of the War of the Spanish Succession, a bloodless conflict begins brewing the Court of Queen Anne. Because of her failing health, she indulges in many eccentric activities such as lobster racing and playing with the seventeen rabbits that represent the children she lost over the years. It’s clear that her secret lover, Sarah Churchill, is one of the few sources of comfort in her life. It’s not often that royalty in fiction is humanized to this degree. It shows that all the power in the world couldn’t take away the pain of having outlived seventeen of one’s children or the various maladies from which one may suffer. Though she does a good job hiding it, Abigail Hill is eventually revealed to be nothing but trouble. She seems humble enough at first, cheerfully volunteering to be a monster to entertain children after Sarah insults her. Over time, it’s clear she is quite the duplicitous person. She will not stop until she is Queen Anne’s favorite. To this end, she poisons Sarah, causing her to fall off her horse. When she comes to, she’s in a bordello. Even when she correctly deduces Abigail’s culpability and blackmails her queen using their secret relationship, it does her little good. Queen Anne severs ties with Sarah for this slight. What I find interesting about the ending is how it subverts the expectations one would have about a film such as this. A typical LBGT-themed story would end with one or more of its protagonists dead due to the cruel society that oppresses them. As a possible result of the characters all having aristocratic backgrounds, The Favourite doesn’t do this. It has the obligatory angst-heavy ending one would expect out of a film such as this, yet it accomplishes the task with a nonexistent body count. Abigail wins insofar that she manages to banish Sarah from the country, yet hers was a Pyrrhic victory. When Queen Anne sees Abigail for what she is, the monarch commands her new favorite to massage her legs, reminding her who has the authority in this relationship. She may be Queen Anne’s favorite, but Abigail will always be seen as an unworthy successor. Following her quest to reach the top to its conclusion, she is arguably worse off than when she had not a penny to her name. Given what she did to get there, it’s a highly fitting punishment. I like to think of The Favourite as the British equivalent of Robert Egger’s The Witch in how the amount of research that went into the costume design and historical research is staggering. Don’t be surprised if when watching this film, you feel as though you’ve travelled in time to 1708 and are watching the events play out as they actually happened. 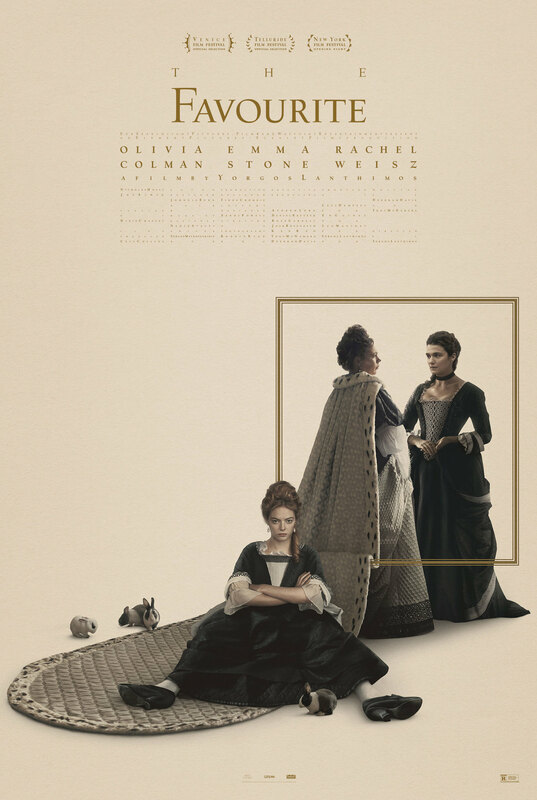 I do have to comment that, as a period piece, The Favourite is the superior effort to The Witch because it doesn’t take two-thirds of its runtime before it has an actual plot. Indeed, the Machiavellian battle of wits between the three leads is so intriguing because we get to see the seeds of the conflict planted before it blossoms and envelopes everyone. At the same time, I do find recommending The Favourite somewhat tricky. While it is doubtlessly a well-made film, your enjoyment will hinge entirely on how much you enjoy the characters. It’s a true testament to Emma Stone and Rachel Weisz’s charisma that the characters they play are actually watchable. However, I can also see this film losing somebody because, at the end of the day, there really isn’t anyone to root for. I appreciate that it’s the point of the story, but it doesn’t make the flaw any less real. 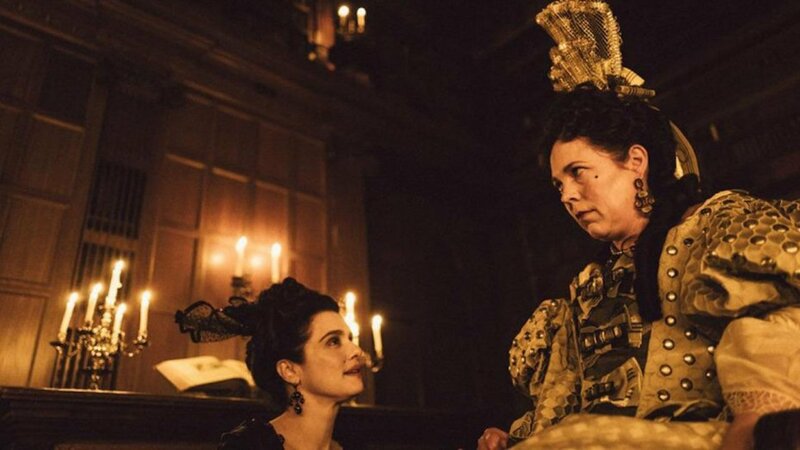 Even if it gets a little too wrapped up in its style at times, I give The Favourite a lot of credit for tackling the subjects of lesbianism in an age that primarily focused on the male side of the LBGT community and attempting to portray women outside of their standard, pervasive roles.